These positive locking fasteners will never open accidentally. 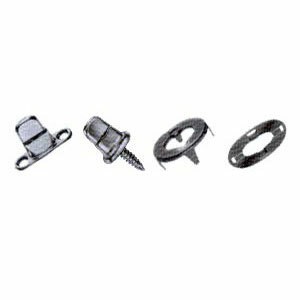 Each fastener is assembled with a spring mechanism that holds the fastener under tension in the desired position until turned and released by hand. Demonstrating dependable performance in even the most difficult environments, Common Sense is available in a variety of turn button styles that can be used on both hard and soft surface applications.